This is a wild- style graffiti lettering. Its vector illustration is priced at $4. 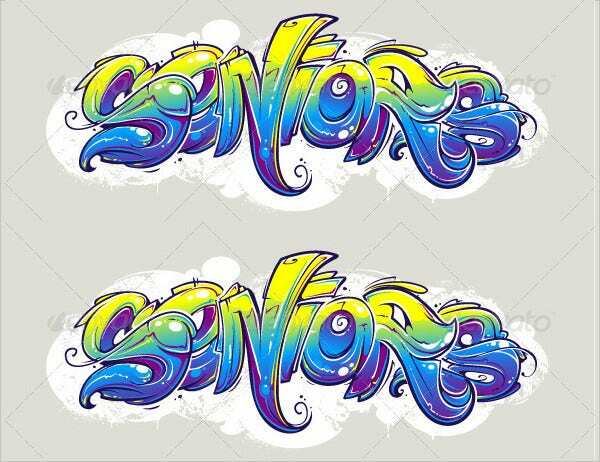 This spray painted hip-hop typography is layered, and comes as JPG image and vector EPS. 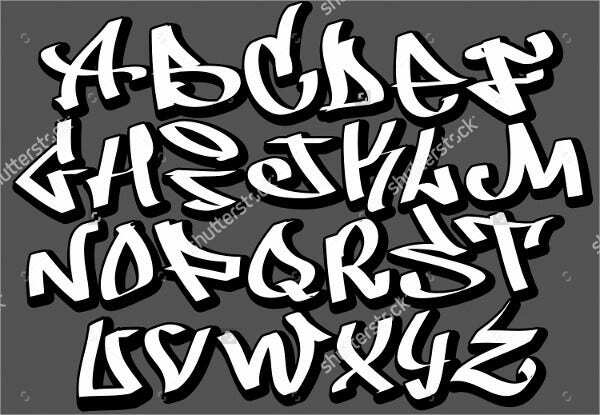 This is a freely downloadable hip-hop Graffiti Font. This font includes all letters of the English alphabet. Its high-resolution image is available in different sizes to suit your project needs. Available for $7, this contains all the English language alphabets in two different styles- simple and complex. You can make your letter choices and rearrange them to make a word. 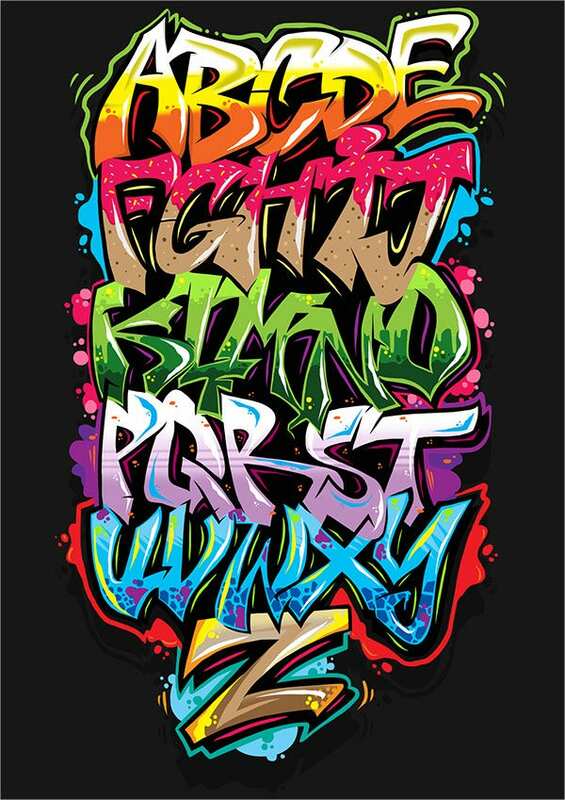 This is a freely-downloadable, colorful hand-lettering graffiti typography. 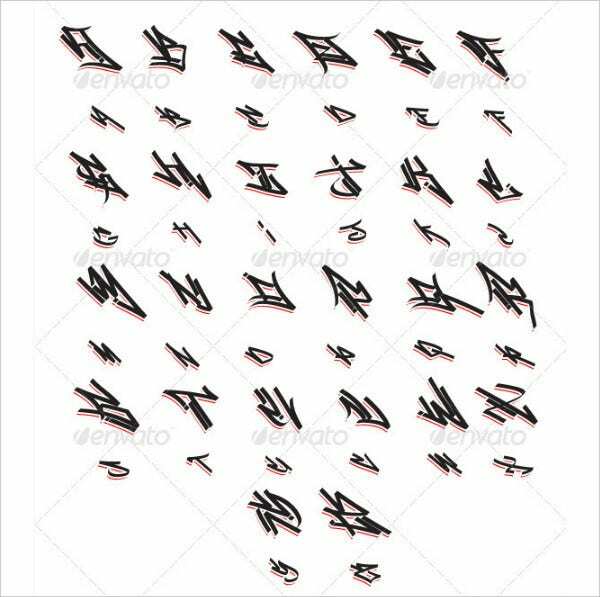 This font includes all letters of the English alphabet. Its high-resolution image is available in different sizes to suit your project needs. 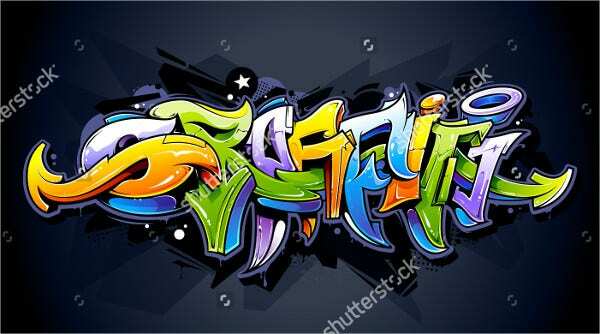 This is a vector illustration of wild street style hip-hop graffiti typography. These bright letters are written on a dark background. This vector image costs $5. 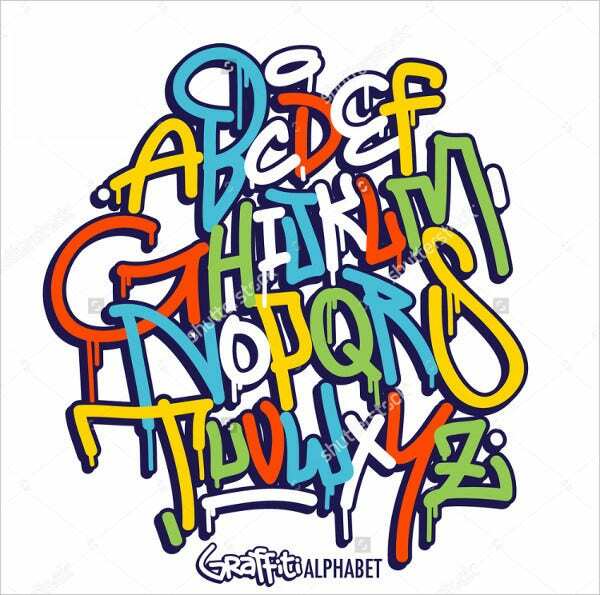 This freely-downloadable, stock vector illustration graffiti typography includes all letters of the English alphabet and numbers. Its high-resolution image is available in different sizes to suit your project needs. 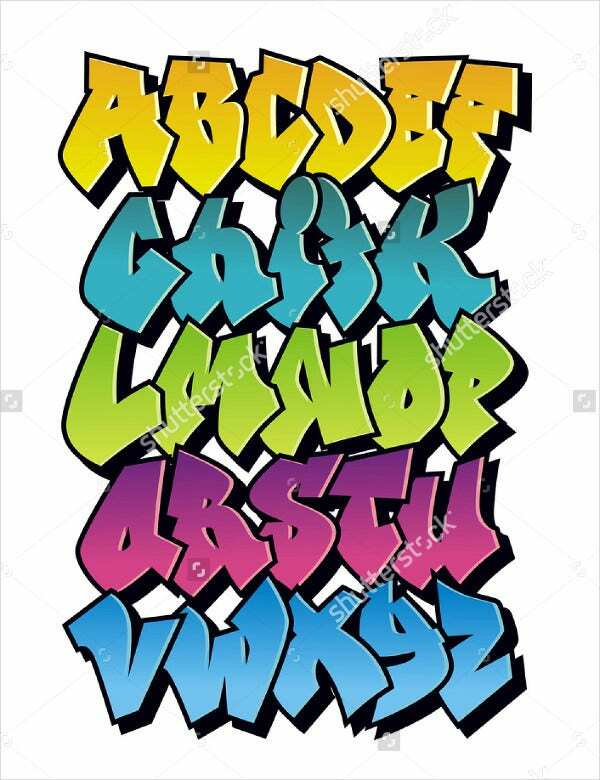 This is a digital art Graffiti Alphabet Letter set. 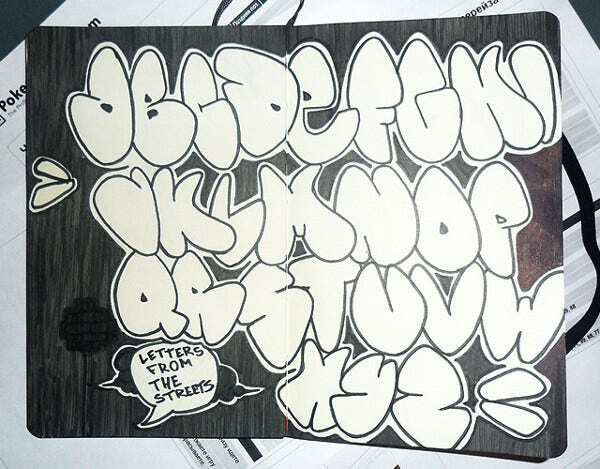 It has been developed by an amateur who intends to develop this basic graffiti lettering further. It is available for free download. 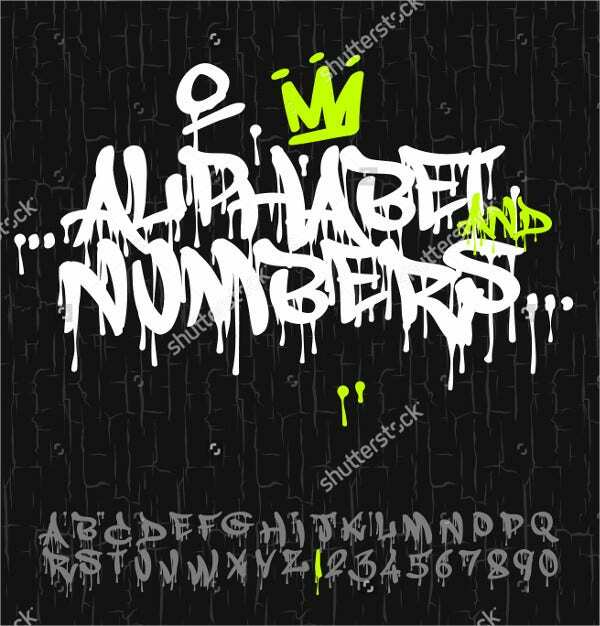 This is a freely-downloadable stock vector illustration of graffiti splash alphabets and numbers. Its high-resolution image is available in different sizes to suit your project needs. This is a freely downloadable stock vector illustration of a bright carton comic graffiti font. Its high-resolution image is available in different sizes to suit your project needs. 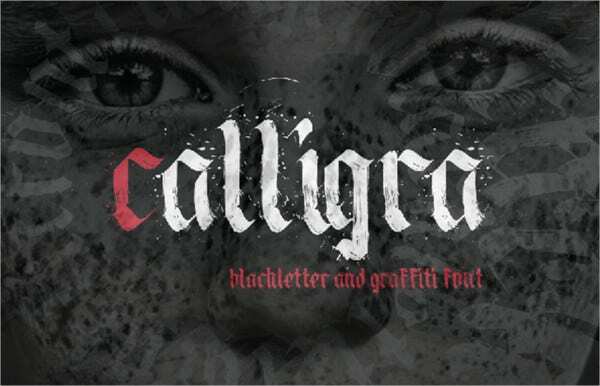 This street style font is a graffiti calligraphy with black letters. If you have a great liking to the complicated language of graffiti, you would surely like it. 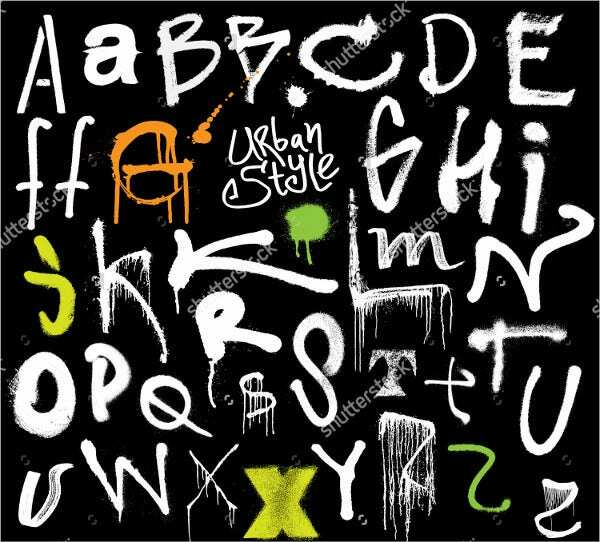 This is a freely downloadable stock vector illustration of urban style graffiti alphabet set. Its high-resolution image is available in different sizes to suit your project needs. 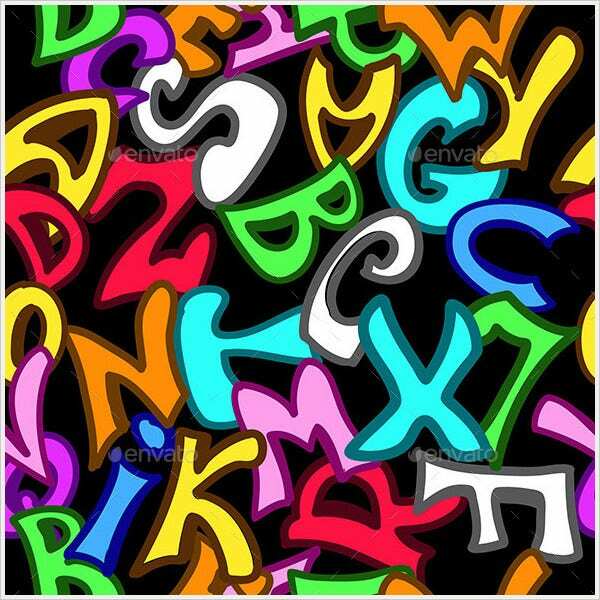 This is a seamless pattern vector illustration of graffiti letters. 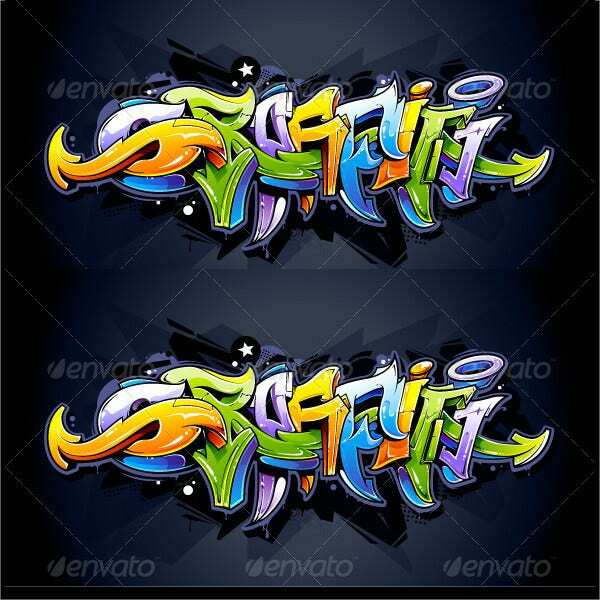 There are bright colorful graffiti letters on a black background. It is available for $4. This is a freely downloadable stock vector illustration of bright letters written on a dark background. Its high-resolution image is available in different sizes to suit your project needs. Graffiti Fonts have a unique style typical to this form of art. Most of the graffiti typography use capital letters because of their interesting and strong appearance. These characters have extended strokes and natural curves that instantly impart some personality and energy. 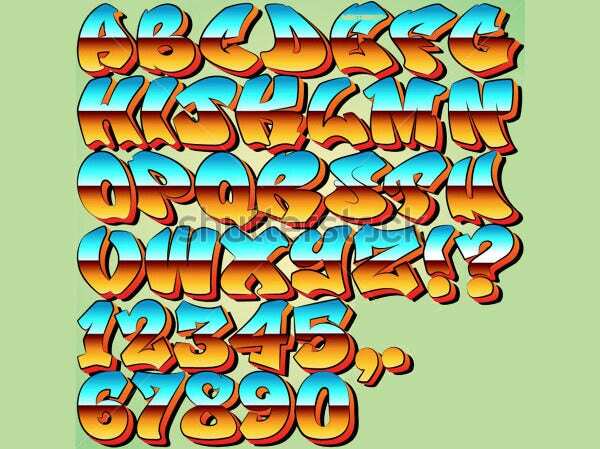 Often, these fonts reflect the graffiti writer’s personality. That’s why you find some trendy, some fierce and some others cool!